What a load of rubbish New Zealanders create – 5 million tonnes a year! Year 10 Art, Drama, Music and Technology classes have been creating their own take on a load of rubbish. 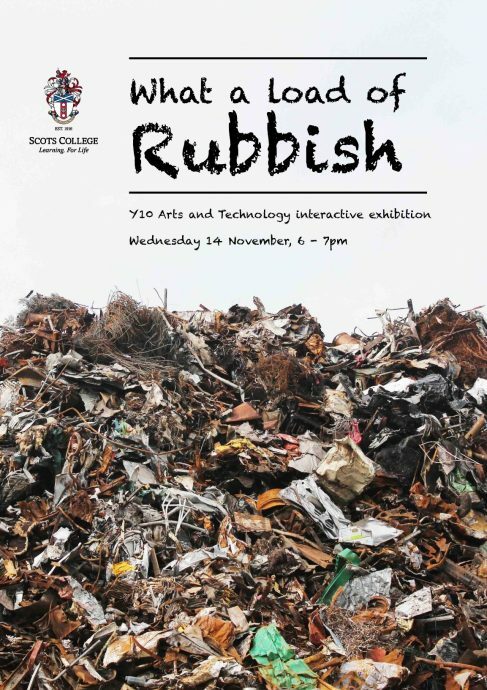 Through exploration of the impact of rubbish, recycling and upcycling the boys have created a range of innovative and interactive work to share with the school community on Wednesday 14 November. Families are encouraged to join us and enjoy drinks and nibbles while exploring the boys’ work in CPAC from 6-7pm.